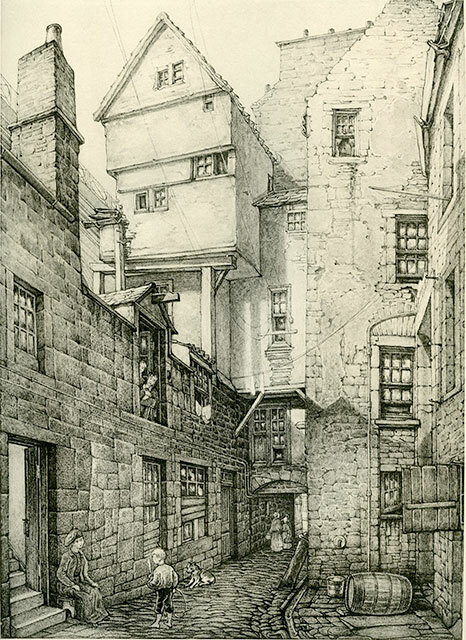 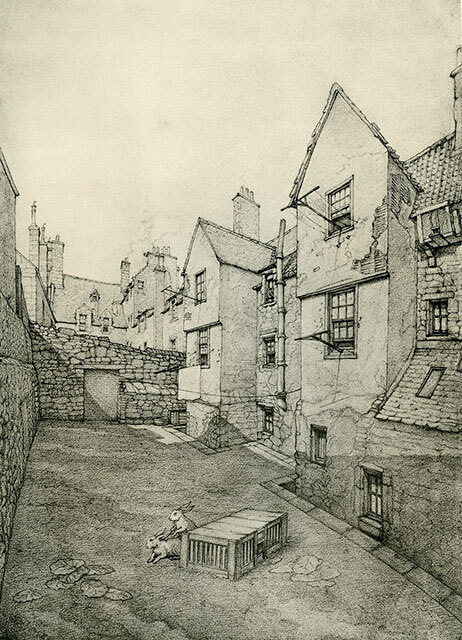 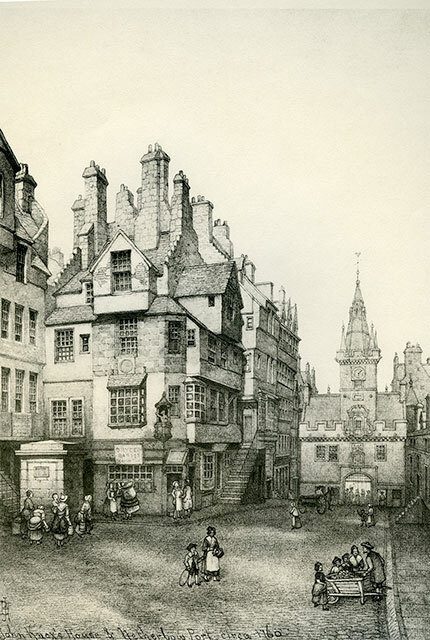 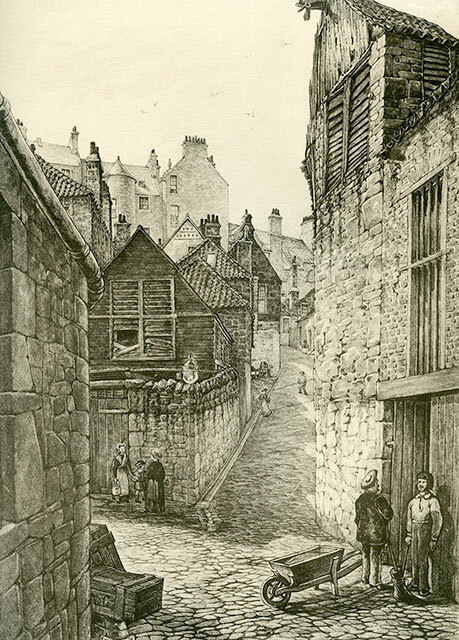 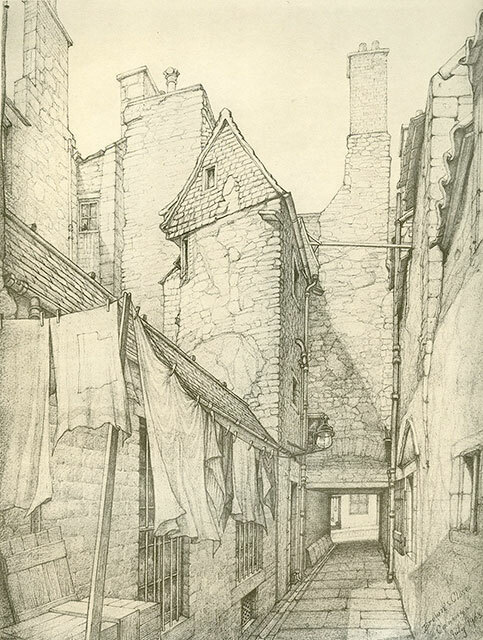 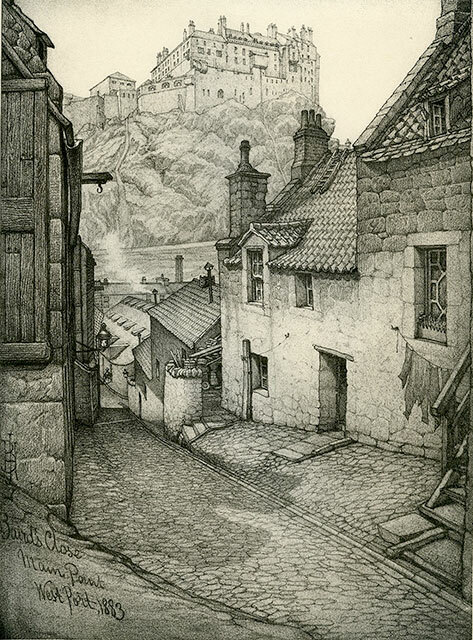 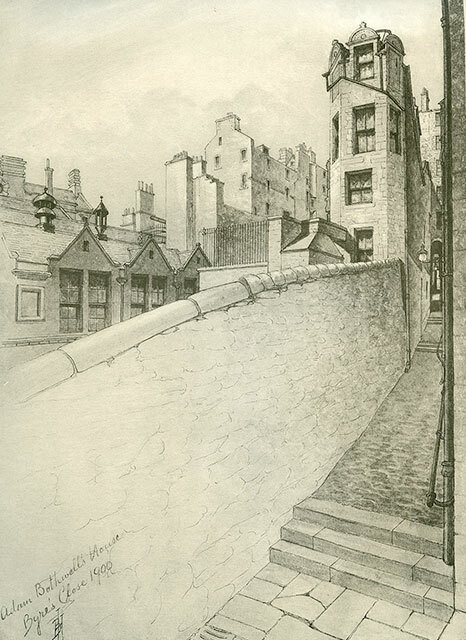 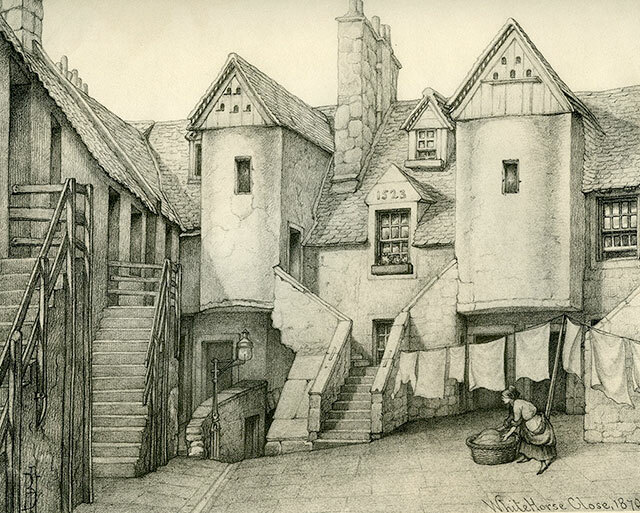 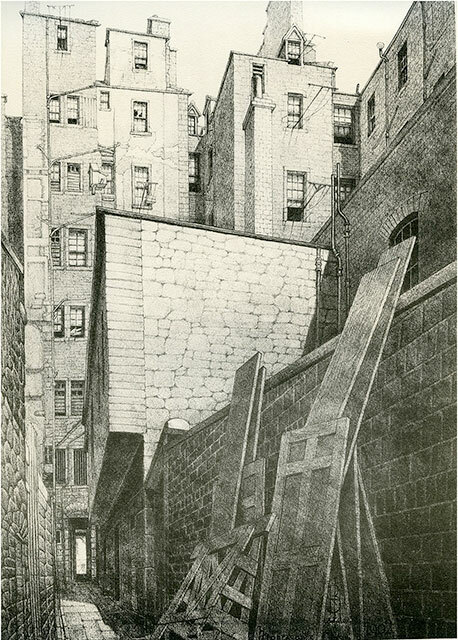 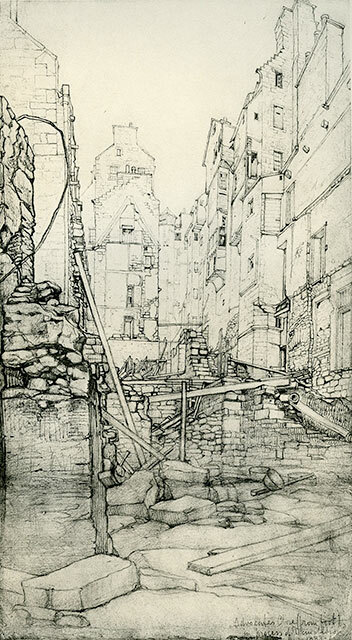 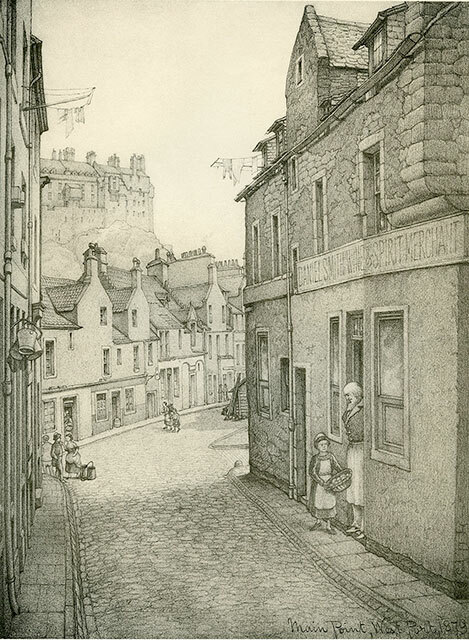 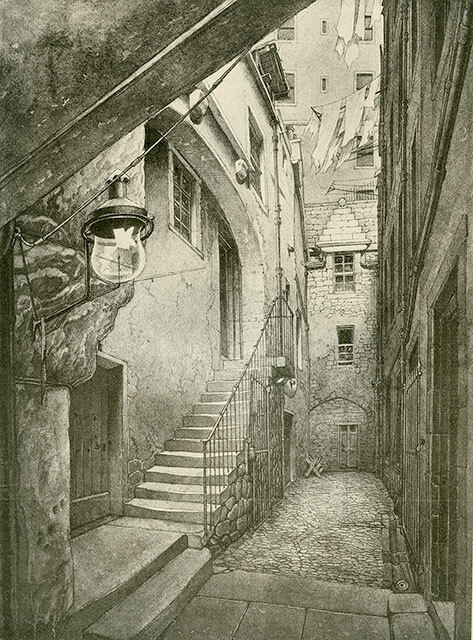 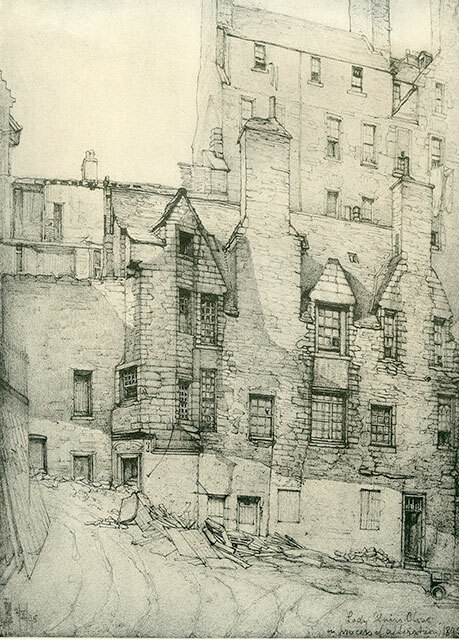 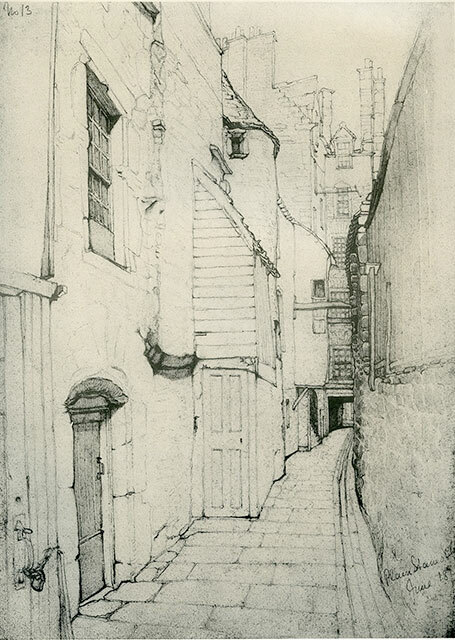 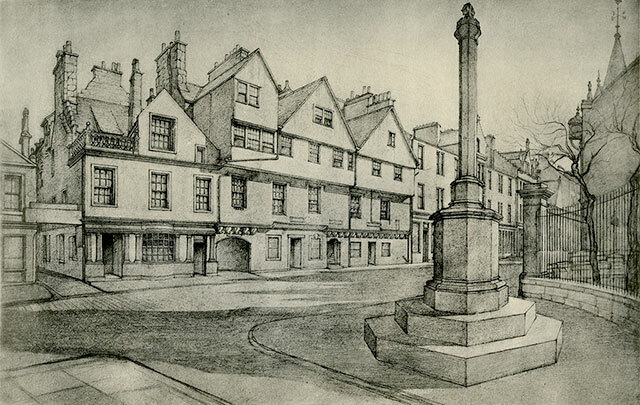 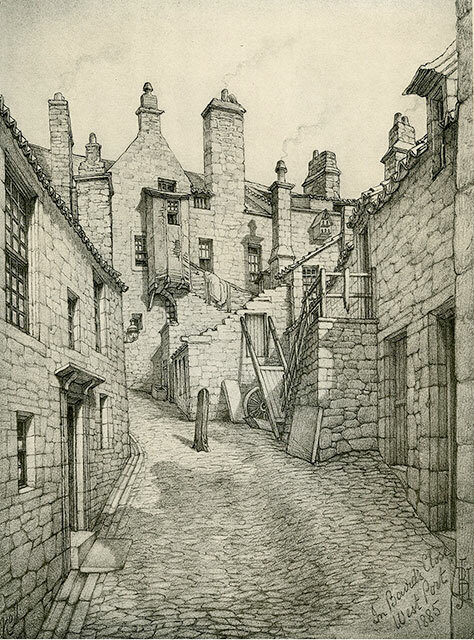 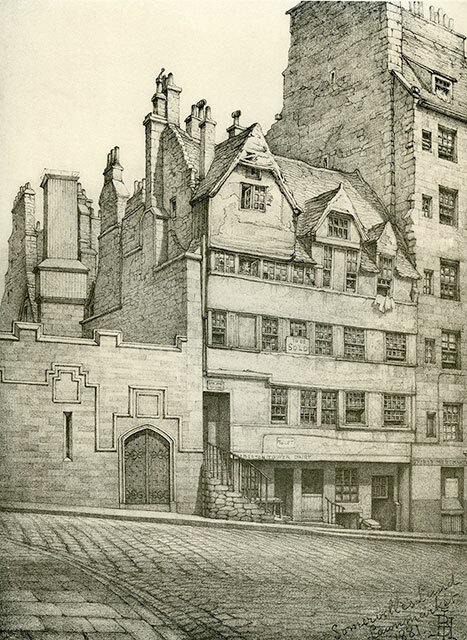 Here are 20 of the 54 drawings that were published in 'Old Houses in Edinburgh'. 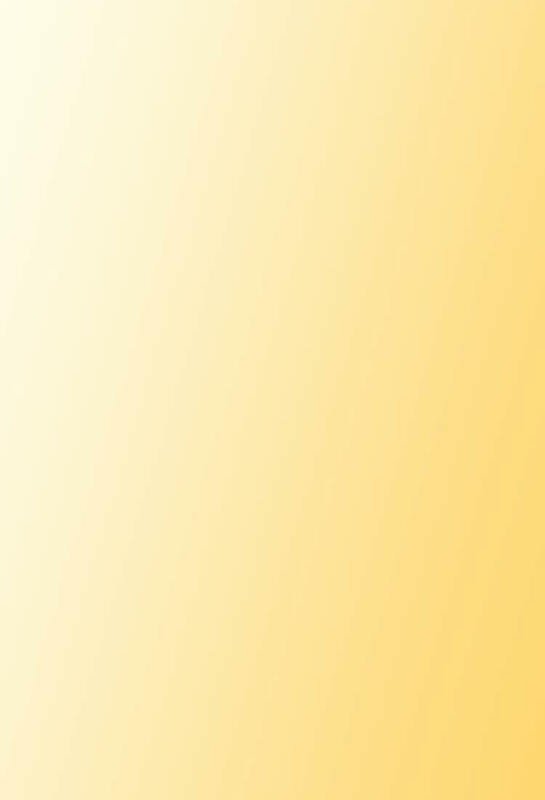 I chose those that I found to be most interesting or most appealing. 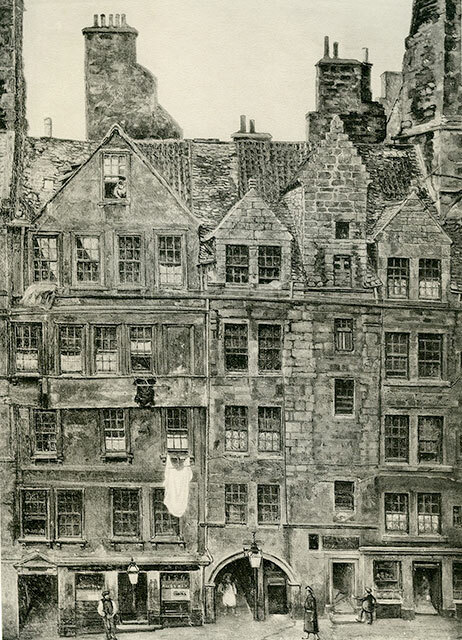 Some of these buildings can still be seen today. 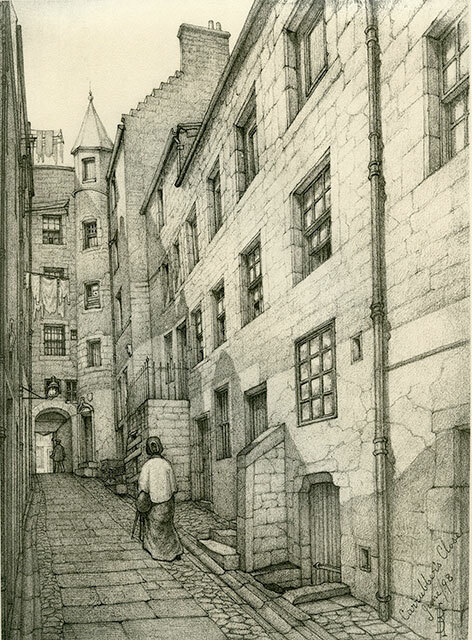  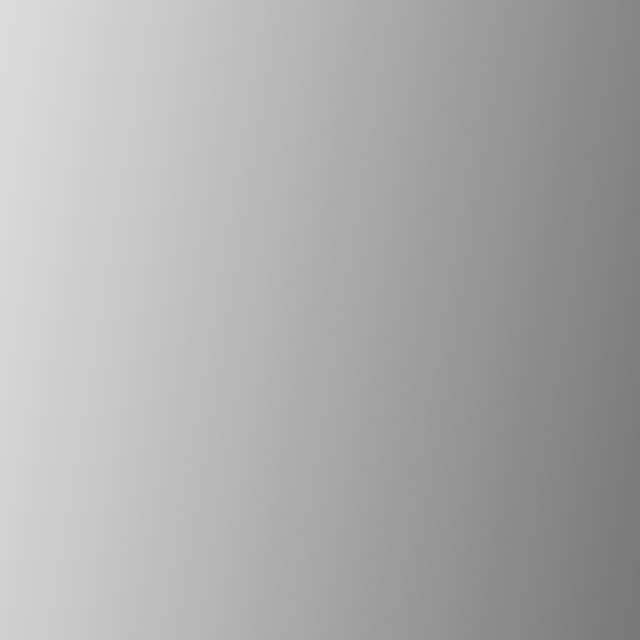 Others vanished long ago. 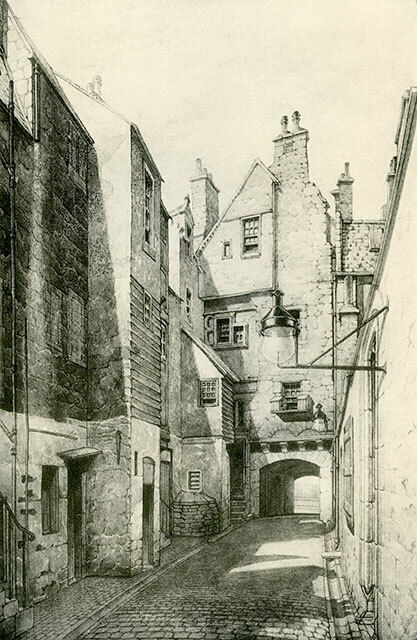 To see the descriptions of each of these photos, as they appeared in Old Houses in Edinburgh', please click here, or click on any of the drawings further down this page to read the appropriate description.